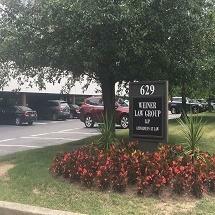 Since 1988 our team of attorneys and professionals at Weiner Law Group LLP, has remained committed to our goal — to provide outstanding service, experienced counsel, innovative strategies and focused advocacy to each one of our clients. By offering a wide range of legal services, our clients include emerging companies, entrepreneurs, established businesses and Fortune 100 companies, municipalities and counties, real estate developers as well as individuals and families who live and work in our local communities. By building strong relationships with our clients, we understand the issues they face, develop intelligent strategies that reach timely solutions, and look to provide the exceptional service that builds confidence. As an established practice, we have the resources, insight and experience to resolve even the most complex legal matters. We stay up to date with shifts in the modern business and legal environment. It's this attention to detail and ability to evolve that has helped us grow alongside our clients. We are an AV rated law firm through Martindale-Hubbell, and have been recognized by US News by being included in its list of "Best Law Firms." Furthermore, each of our attorneys has accrued his and her own individual professional accomplishments that enrich our firm and our ability to serve the people and businesses we represent. Contact us today to learn more about our firm, our services and how we can provide you or your business with the counsel and representation necessary for achieving lasting success.